In early April, Shea B. anxiously laced up a pair of shoes. But not the typical dress shoes you might expect from an Enterprise employee. Rather, he laced up a his blue and silver bowling shoes and headed off to throw against the world’s best. Sponsored by the U.S. Bowling Congress (USBC), the governing organization dedicated to ten-pin bowling, the sport’s premier event draws competitors from all 50 states and a dozen countries. That helped make the event, known as the Masters, a memorable experience for Shea, a Business Analysis Supervisor at the Contact Center in St. Louis. 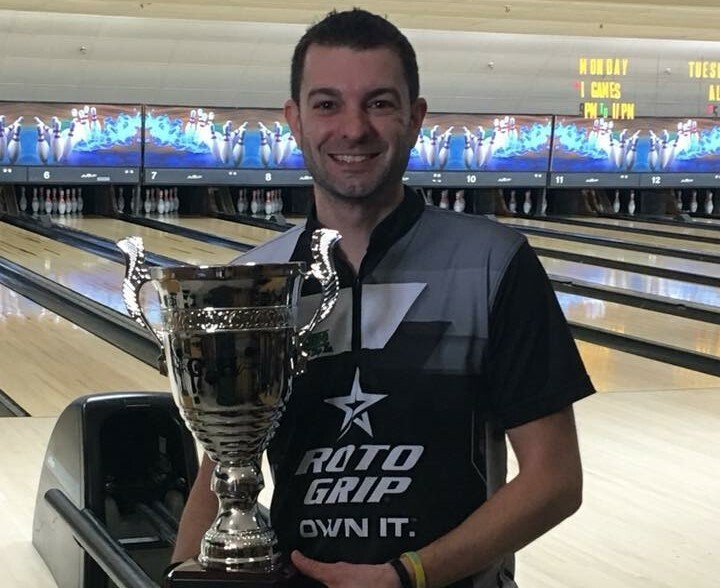 Shea earned his way into the Masters field by winning the 2017 Missouri State Amateur Bowling Tournament. In that competition, he bested about 1,500 bowlers to take the “All-Events” title – combining his singles, doubles and team scores to come out on top. At the Masters, the format differs: It begins with 360 competitors bowling three qualifying rounds that then lead into match-play among the top 64 scorers. “I’ve never bowled in an event that draws all the best in the world, so I didn’t really have much in the way of expectations,” he says. Even so, Shea’s qualifying rounds earned him a spot in the top third of the field, and just 15 pins short of being among those who earned cash prizes. The son of a professional bowler, Shea calls the sport one of his biggest passions. He’s competed in leagues since he was five years old – notching more than a few notable accomplishments along the way. Among the highlights: his collegiate team won a national championship in 2005, and he was named a second-team All American in 2007. Today, Shea bowls in winter leagues two nights a week and enters local and regional tournaments throughout the year. Later this month, Shea will compete in the USBC Open Championships for the 11th straight year. One key take-away? Shea noticed a distinct parallel between what it takes to succeed at bowling and in the business world. The same is true of the work he does at Enterprise: It’s all built on analysis, drawing insights from data. And ultimately, teamwork drives success. During his three days of competition at the Masters, Shea felt enthusiastic support from his colleagues who followed his progress via live-scoring apps and webcasts.